We don’t need to hire actors to tell you how great Frontier Lager tastes. We hear enough of that from the people drinking it. This winter, some of our favourite Fuller’s pubs play the role of a lifetime when we transform them into cinemas to host the first ever Frontier Film Festival. Brewed with new world hops from across the pond, we’ve gone back to Frontier’s American roots with a selection of top Tinseltown pictures, plus a cheeky choice of home-grown talent paying tribute to our old world malts from these shores. Tickets cost just £10, and include a free can of Frontier Lager or Frontier cocktail on arrival. Showings start at the Ship Inn, Langstone, on November 21st, finishing on December 1st at the Jolly Farmer, Alton. 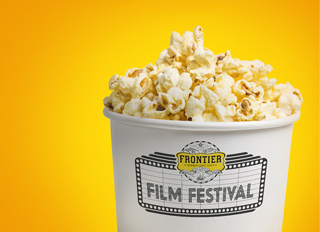 You can check out the full list of films, dates and locations for the Frontier Film Festival here.